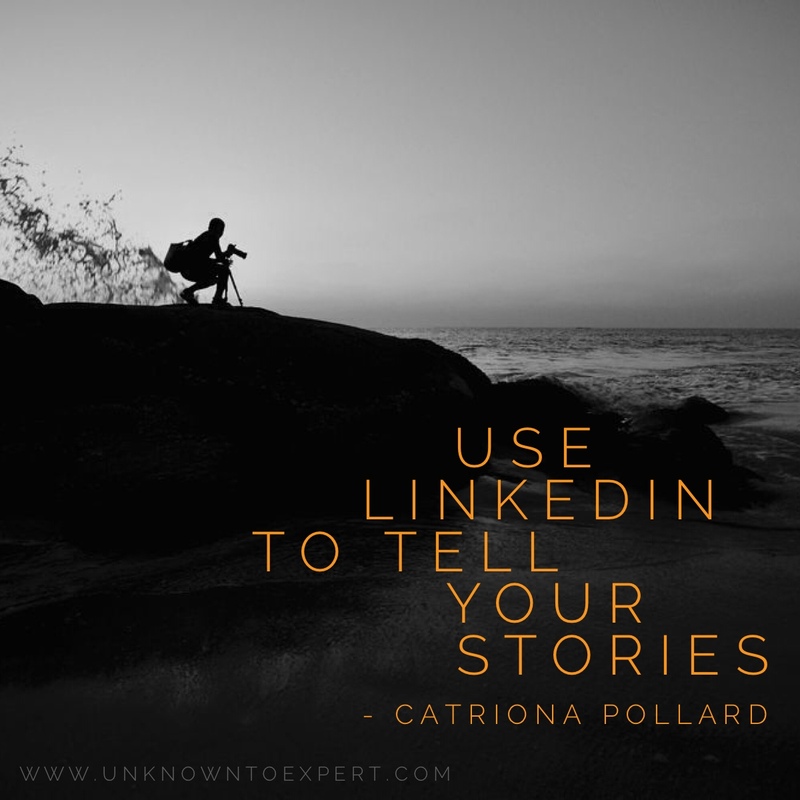 LinkedIn is a powerful social tool which provides a great opportunity for businesses to establish expertise and thought leadership with their target audience. 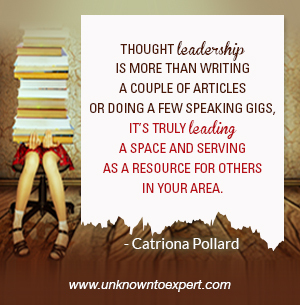 Thought leaders are informed opinion leaders and the go-to people in their field of expertise. Being positioned as a thought leader in your industry helps your business gain credibility and visibility, and builds your own personal brand. Many professionals have been quick to see the benefits of using social media platforms such as LinkedIn to generate their thought leadership. Here are some tips on how to use LinkedIn to build your thought leadership. Updating your status on LinkedIn is a priority when building your thought leadership. Posting regular, valuable and interesting content is the best way for your followers to perceive you as an expert in your field. Ideally you should post at least once a week to start building your thought leadership. The process of selecting content to share needs to be undertaken in a thoughtful and strategic way. Your content must offer more than self-promotion. Creating your own content such as blog posts, infographics, videos and more is a great way to demonstrate thought leadership. Visuals work really well in LinkedIn and can increase the level of exposure and engagement you have with your audience. Consider including visuals in the form of images, Slideshare presentations or videos in your posts to enhance audience interaction. If you are unable to create your own content, consider using a curation method which involves collating industry relevant content from around the web. Contributing your perspective on the article or blog post shows you can demonstrate your opinion and knowledge on a particular topic. LinkedIn Pulse is a great way to promote your content on LinkedIn and in the Pulse app. This app is integrated into the LinkedIn website to provide users personalized content that takes into account a user's professional interests and people they follow on LinkedIn. Having a complete profile on LinkedIn is important when establishing yourself as an expert. According to LinkedIn, a completed profile will appear in search results 40 times more than the average LinkedIn profile. For the best chance of your profile being seen by your connections, ensure you have filled out as many fields as possible and that you are regularly viewing your profile. Ensure you have a professional headshot as your profile image, an excellent summary that discusses a bit about your background and your area of expertise, an engaging headline and a comprehensive list of your professional career history. Starting a LinkedIn group is a great way to connect with people in your industry and raise your profile as a thought leader and expert. Choose a group name that relates to your specific topic of interest or profession rather than your brand name, as more people will relate to it and it will encourage engagement on that topic. It is important to spend some time building your group membership. Invite your connections to join the group and promote the group (and its discussions) on your website, email signature, newsletter and social media accounts such as Facebook and Twitter. Until members begin initiating discussions, you should post at least twice a week. A good tactic is to post discussions that ask questions and include a link to a related article. If there are already active discussions, it is important to also contribute to these. Posting discussions into LinkedIn groups is a great way to establish yourself as a thought leader and get noticed by your peers. LinkedIn allows you to join up to 50 groups at any one time, so it is beneficial to make the most of this tool. Interacting in other groups is an excellent way to start building your profile. Start by identifying and defining your niche area of expertise. Brainstorm a range of creative angles you can take on your topics and prepare material to use in the future. It won't be beneficial to comment on everything in a LinkedIn group; take the time to choose your key areas and stick to them. It is important to post engaging and valuable information that other group members will appreciate. A great tip to drive engagement is to frame your posts as a question. Go on to share your own knowledge and opinions and encourage others to do the same. LinkedIn gives professionals an excellent opportunity to demonstrate their expertise and thought leadership. Posting high quality and valuable content is one of the best ways to demonstrate your knowledge among a captive and engaged target audience. 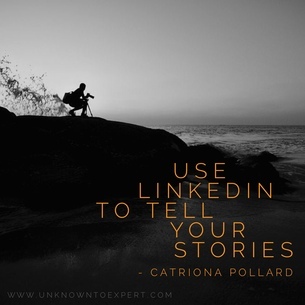 Catriona Pollard is the author of 'From Unknown To Expert', a step by step framework designed to help entrepreneurs develop effective PR and social media strategies to become recognised as thought leaders and influencers in their field. www.UnknownToExpert.com. Catriona is also the director of CP Communications, which merges traditional PR tactics with cutting-edge social media strategies that engage consumers as well as business.